Alongside our main partner, The University of Nottingham, NUAST has developed a range of employer partnerships. These partnerships range from local to multi-national companies who require young people with the academic and high level interpersonal skills that will enable their businesses to thrive. Our partners are lending support via an employer-led curriculum, which includes workshops, educational visits, professional speakers, mentoring, sponsorship and master classes. This range of opportunities allows NUAST students to develop the enterprise and employability skills which are needed for entry into university or the world of work. Our range of employer partners include Siemens, Toshiba, Rolls-Royce, SMS Electronics, Experian, Esendex, MediCity, Greene Tweed, Far Composites, Autodesk and many more. One of the things that makes studying at NUAST such a unique experience is our partnership with The University of Nottingham. Throughout the academic year, NUAST students are regular visitors to The University of Nottingham’s world-class facilities. These visits provide our students with the opportunity to develop curriculum knowledge and understanding. The university supports enrichment at NUAST through a programme of events that includes Raising the Grade Conferences, Learning Preferences and Study Skills Sessions, Independent Learning, Career Carousels, UCAS Application Workshops and Transition to University. Our university partners are currently assisting with the development of a new mentor scheme whereby all NUAST students will benefit from one-to-one support from a dedicated personal mentor. This allows our students to fully understand what they need to do to access degree-level education and raises aspiration across the academy. At NUAST, we work closely with the local community and share our resources and expertise with all those who can benefit from them. 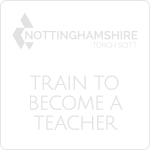 Through our partnership with The University of Nottingham we are leading work locally to inspire students to study and build careers in Science, Technology, Engineering and Mathematics (STEM). Our students are actively encouraged to act as STEM ambassadors to promote STEM to students across the range of city and county schools. The events will be part of a long-term programme of activities designed to ensure that students from NUAST and the city more widely are aware of the opportunities presented by a career that makes use of the STEM subjects. 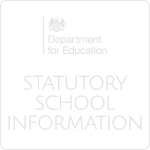 The education provision at NUAST is delivered by the Nova Education Trust. 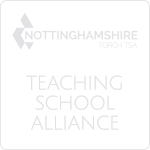 As education partners, the trust delivers exceptional educational support that has helped Toot Hill School in Bingham be rated as ‘Outstanding’ by Ofsted and transformed Meden School in Market Warsop and Nottingham University Samworth Academy (NUSA) in Bilborough from ‘Special Measures’ to ‘Good’. Nova has developed the NUAST curriculum and oversees the day-to-day operation of the academy. For more information about the Nova Education Trust, visit www.novaeducationtrust.net.